After seeing a few bloggers mention that Fragrance Direct had some Dainty Doll makeup on sale for £1.99, I had to go check it out. 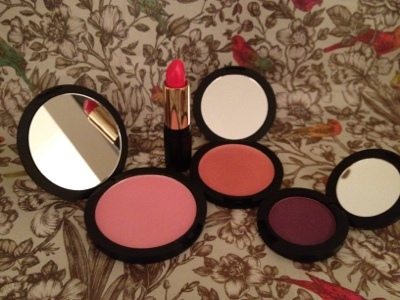 The range was originally created for pale skinned ladies and as I fit that bill, it seemed to be too good to miss! I tried to be restrained, but ended up ordering 5 items from the collection. Essie polishes were also on sale for the bargain price of £1.99, so a few of those *may* have fallen into my online shopping basket (accidentally of course). The whole Fragrance Direct order came to under £16, which I thought was a bargain. 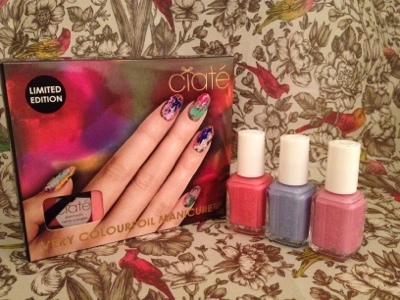 One item that I didn't pick up from Fragrance Direct but wanted to share with you was my new Ciate Colourfoil kit. I've been waiting for these to launch for ever since they were talked about in the press, so seeing as it was payday, I trotted to Selfridges in my lunch break and picked up the set in Carnival Couture. I'll be trying all of these out over the next few weeks and reporting back, so look out for full reviews soon. Those essie polishes are perfect for the summer! And I really want to try some dainty doll products! 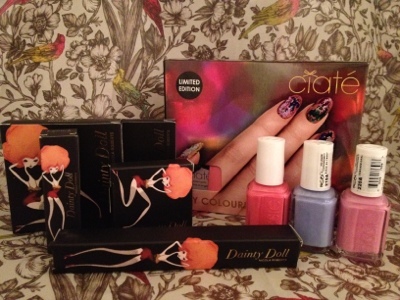 Ooh, I've been eyeing up those cheapie Dainty Doll products for a while now - looking forward to seeing how they hold up! Nice haul! As it was designed by a redhead (Nicola Roberts from girls alound) & I am one too I was uber excited when it was first released but I have tried pretty much every Dainty Doll product and to be honest do not rate it at all, especailly the foundations and concealers they were awful steaky and no coverage. I hope you get on better with them though and at least they were cheap if not lol! :-) will be interested to hear your thoughts! Oooo those Essie shade are lush! Especially for SS! :) too good to resist! I'm curious what you will make of DD stuff - I like it! I got some of the dainty doll stuff a while back and I love it. Gutted I didn't picl up any Essie polishes, though, think there was only a couple when I was ordering.